Update #3: So far, Kyle has chased and pestered support personnel from Google to T-Mobile to Swappa trying to determine what to do about his disabled Pixel XL. After jumping on the Pixel Community forums and starting a thread about the issue, he received a response from a Project Fi Community Manager. Not only did she outwardly acknowledge that the problem is occurring for multiple users, but she also assured him that they would fix the issue. Thank you for sharing this with us on the Forum. Our team is aware, and we are working to restore access to impacted devices. This news could be good for anyone affected by the Pixel blacklisting debacle. However, Kyle warns everyone to take the promises with a healthy grain of salt. "It is good to know that Project Fi is aware of this, but every communication I have had with Google about this started with 'we will get this fixed,'" Kyle wrote. "So I am not putting much faith in this statement." Update #2: According to Kyle at HardOCP, Google has flipped on its story again. After assuring him that his phone must have been reported lost or stolen and that Google had nothing to do with it, Kyle reached out to the party who sold him the phone. The seller claims that Project Fi contacted him and said that "these phones have not been reported stolen (a third 180 degree turn on that stance), and it does in fact ('fact' is used loosely here) seem to be an issue with Pixel phones originally purchased from Project Fi." Despite Google's shifty excuses, it seems there will be a happy ending to the ordeal. The problem apparently stemmed from the Project Fi's system not separating the phones from their prior Project Fi accounts. The seller tells HardOCP that they should be able to resolve the situation to get his phone working again. A little exposure on the problem seemed to help after all. Score one for the press. Update #1: Google contacted Kyle again admitting that the phone was, in fact, blacklisted, but that they did not have anything to do with it. "The seller whom you purchased it from, might have gotten a device from someone else who stole/lost it earlier, hence the original owner of the device reported it lost/stolen and the law enforcement might have blocked it after the original owner contacted them. [sic] Google doesn't blacklist the devices, we ask the customers to contact law enforcement or carrier to block the devices from usage when customers contact us when they have lost the device or gotten stolen. [sic] This is not an issue from our end." However, Google's explanation still does not clarify why Swappa has received a "great number" of blacklisting complaints regarding Pixel devices. Something has to be causing a surge in Pixel phones being lost or stolen in the last two days. Last November, DansDeals reported that hundreds of accounts had been suspended by Google after it had discovered many Pixel phone owners had resold their phones to circumvent a U.S. sales tax loophole for profit. 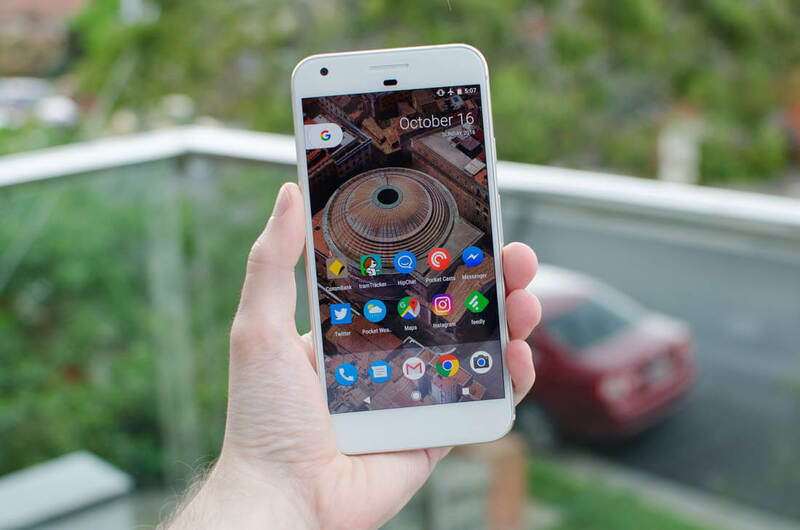 According to the report, a number of Pixel phones were purchased from Google’s Project Fi, a mobile carrier that uses multiple networks for broader signal coverage. The phones were shipped to a reseller in New Hampshire, which does not have a sales tax. The profit from the untaxed phones was then split with the customers. Under Google Store's terms of service policy, commercial resell of Google devices is prohibited. "You may only purchase Devices for your personal use. You may not commercially resell any Device, but you may give the Device as a gift." Today there has been at least one report and possibly more that particular Pixel phones are becoming blacklisted. Blacklisting occurs when a phone’s IMEI (International Mobile Equipment Identity) number is reported as stolen or lost. It essentially prevents the phone from being used except for 911 emergency calls. Kyle from HardOCP reported that this has happened to his Pixel XL. He said the blocking came out of nowhere with no warning. He contacted his carrier T-Mobile, but they informed him that there is nothing that they can do to reverse the blacklisting. Kyle had purchased the phone online through Swappa, which acts as a broker for buyers and sellers of used phones. Speaking with Swappa support, he discovered that he was not the only one experiencing the problem. Swappa suggested that he contact Google to see if they could get to the bottom of the problem. Google initially claimed that they were thoroughly aware of what was going on and that his phone was not actually blacklisted; that he was receiving a spam message. However, Kyle checked his IMEI, and the number was definitely coming back blacklisted. Could this have been connected to the actions taken back in November? The support specialist informed him that she would be escalating the issue to Project Fi and that he would be hearing from them in about 24 hours. When asked for a support ticket, the representative would not provide him with one, only indicating he would receive one via email. Kyle is still waiting to hear from the Project Fi team. If you have had a similar experience or have more information regarding the whole Pixel/Project Fi situation, please share with us in the comments.